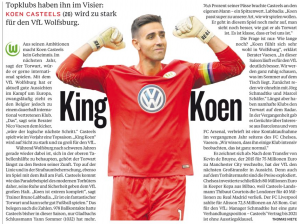 Chelsea made contact to sign Koen Casteels from VfL Wolfsburg, according to this week’s edition of Kicker. The German magazine have been speaking to the player’s agent about a possible move in the next summer window, and that’s when the contact from the Blues is brought up. 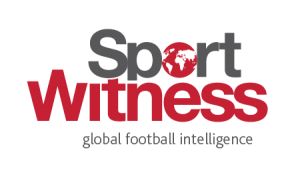 It would be assumed that having signed Kepa Arrizabalaga from Athletic Club Bilbao, Chelsea wouldn’t be looking for another first choice. Casteels, who is 26 years of age, would be something of a luxury back up, and it’s not clear whether the contact came before or after the Kepa deal was done. Kicker also talk about previous interest from Barcelona and Arsenal, and it may be that the player’s agent, Nico Vaesen, is revealing as much interest as he can to try and hype things up. There’s enough hints in there about a summer transfer, perhaps Chelsea’s name is simply being used to flush out others.